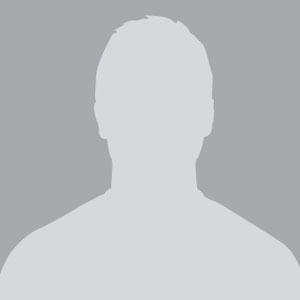 Andrey has been involved in cryptocurrency development since early 2010. 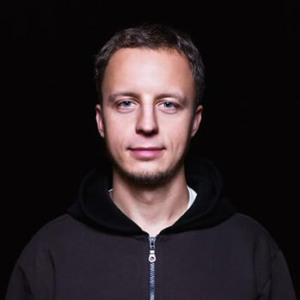 Andrey has founded and took leading technical roles in multiple first of their kind projects, such as BitMerch (first bitcoin merchant service), HolyTransaction (first multi-currency wallet), and Tether (first fiat currency on the blockchain). 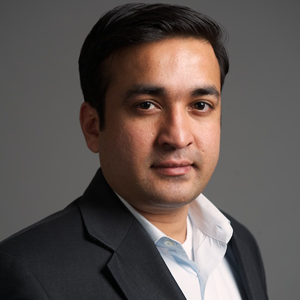 Aman Quadri, CEO of AMSYS Blockchain, has extensive experience with tech & IT in the medical sector and has combined his knowledge with delivery into multiple healthcare systems to now work on solving the issues with EHRs and medical wellness. In his view, every person should have 24/7 access to his or her updated medical records. With blockchain adoption, healthcare has the chance to make drastic changes in how we share information through blockchain, improve real-time data through IoT integration, and proactive healthcare management through machine learning and AI processes. The ability to change healthcare delivery and reduce costs to payors, hospitals, and clinics, and in turn through value based payments, increase physician reimbursement can be solved through AMCHART. 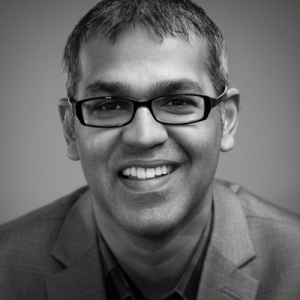 Ashok Venkatraman is Vice President, Strategic Business Development at AppFusions, leading enterprise-scale digital transformation solutions, including ones that leverage blockchain for clients in financial services, logistics, distribution and other major industries. Ashok is a market-driven strategic leader with expertise in steering strategy for customer-centric, next-generation digital solutions. 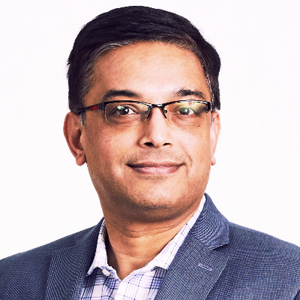 Previously, Ashok has served in multiple high growth business units as general manager and head of technology for Mastercard products, platforms and APIs. Mr. Venkatraman holds a M.S. degree in Electrical Engineering from Southern Illinois University. Daniel Leon is a business and social entrepreneur with a proven track record of growing early-stage companies and building organizations from the ground up. Daniel has co-founded and led multiple companies and not-for-profit organizations. Before Governing Dynamics, where he is a managing partner, he was CEO of Atlis Labs, a venture-backed local discovery platform powered by real-time customer referrals. Prior to that, Daniel served as CEO of Beyon3D and chairman of HereO. 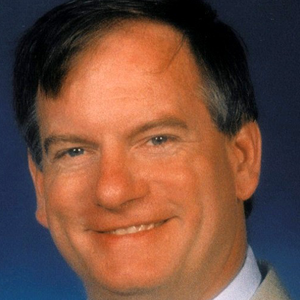 He was also general manager, of GroundLink, which raised more than $30 million in funding during his tenure. He started his career as vice president with the Gallup Organization. Daniel holds a degree in Economics from Brown University. He splits his time between New York and Tel Aviv. As chief revenue officer at CoreDial, Ken is responsible for leading channel recruitment initiatives as well as channel on-boarding, training, support, and success. 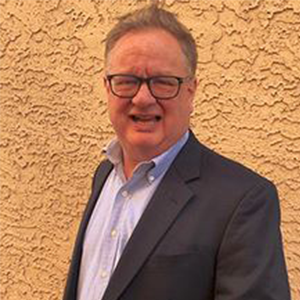 With a deep background in marketing, sales, and service, Ken brings more than 20 years of experience to the position having previously worked for telecom and software companies ranging from start-ups and early stage IPOs to Fortune 500 enterprises. He has helped establish CoreDial as a leading provider of cloud communications services that drives channel success through a unique business model, empowering partners to deliver high-value, margin-rich communications solutions to more than 23,000 businesses with 320,000 seats nationwide. Prior to joining CoreDial, Ken served as Senior Vice President of Global Marketing at Tangoe, a $200M+ public SaaS company. There he built a global marketing organization including product marketing, demand generation and marketing communications teams. Before Tangoe, he was Executive Vice President of Global Sales and Service at Rivermine, a telecom expense management company that specializes in managing voice, data, and wireless telecom expenses. Ken holds a BS in Mechanical Engineering with Honors from West Virginia University. 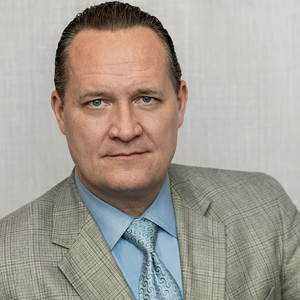 Dr. Donald Robinson serves as the CEO of Craxel Inc. which has created the highest performance and most secure distributed ledger technology. Based in Silicon Valley and Washington DC, Craxel is transforming business operations with usable and secure distributed ledgers. Previously, as the CTO for General Dynamics IT - Defense, he led the development of technical solutions that won over $4B of next generation IT programs in his last 2 years. Dr. Robinson focused on complex mission critical IT solutions in the national security, intelligence, and other government services. Dr. Robinson has worked on missile defense, cyber operations systems, radar and sensor systems, space systems, battle management command and control, and UAV systems. Each of these projects involved direct advocacy to the Pentagon, international governments, and Congressional stakeholders.Dr. Robinson holds (5) B.S. degrees in Physics, Mathematics, Computer Science, Management Economics, and Applied Mathematics from Hampden-Sydney College, a M.S. degree in Statistics specializing in data mining and artificial intelligence systems. and a PhD in Systems Engineering from the University of Virginia focused on large scale computational statistics. He also attended Oxford University and executive programs at the University of Chicago’s Booth School of business. Dr. Robinson is also an instructor at Caltech in cybersecurity. He is a Certified Information Systems Security Professional (CISSP) and a Certified Cloud Security Professional (CCSP). Erik Day has been at Dell (now Dell Technologies) for 18 years. 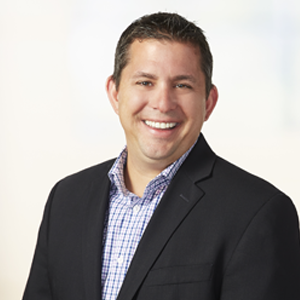 During this tenure, Erik has held multiple sales, merchandising, operations and marketing leadership roles both domestically and internationally. As Vice President of Small Business, Erik’s goal is to advocate for small business across the US and Canada and ensure they are receiving the IT necessary to help their businesses grow and thrive. He believes that Small Business is the growth engine of the global economy and that technology will help them achieve their goals. Just this year, Erik developed and launched Dell’s new Small Business Advisor marketing campaign that focuses on how Dell can be a virtual IT advisor for your small business (https://youtu.be/Z16nZiVKd-c ). In May 2018, Erik graduated with his Masters of Business Administration from Southern Methodist University in Dallas, TX where he also received his Bachelors in 1994. Erik is an avid tennis player and a die-hard collegiate (SMU, UT Austin, Florida State, Michigan, Oregon, Northwestern) and Chicago Based (Blackhawks, Bears, Cubs) sports fan. He is heavily involved in advocating for workplace equality globally for Gay, Lesbian, Bi-sexual and Transgendered employees of all sized corporations. He is the Global Executive Chair of the PRIDE (LGBTAQ) Employee Resource Group at Dell Technologies and on the Board of Directors for Out & Equal Workplace Advocates this year. He has also served on the board of various other organizations such as the Anti-Defamation League, AIDS Services of Austin, Nashville Cares and The Austin Tennis Club. He loves spending time at home in Austin or on Lake Michigan with his husband Craig and their 2 Samoyeds, Chester and Chase. Brandon is a self-taught blockchain developer. Upon graduating from UF with a degree in Finance and Entrepreneurship, he began his career in Finance at Walt Disney World. He found his niche writing code that automated tedious business processes and quickly found himself jumping from department to department building applications. He then went on to serve in an IT role at Royal Caribbean. He became an integral part of the project development and deployment of the new “Smart Ship” initiatives. These projects included working internationally to build the largest and smartest ships in the world that sail the seas today. By building Finance and Technology skill sets, he has won multiple hackathons/startup events/pitch competitions and naturally transitioned into the blockchain space. He is now a full-time blockchain developer, consultant, and miner. His latest project is DigiTix.io, an event ticketing platform powered by Ethereum and is set to launch in Q1 2019. You may contact Brandon at brandon@fintechconsultinggroup.com or brandon@digitix.io. Daniel has gained a wealth of Operations, Business Development, Marketing Strategy and Fortune 500 Managerial experience from a wide range of industries that include Retail, Non-Profit, Hospitality and Professional Services Consulting.Based on his enthusiasm for customer service and customer facing engagements, Daniel facilitates Business Transformation strategy discussions for organizations of all sizes and industries. 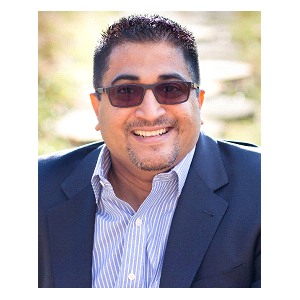 As a thought leader in the space, he is a frequent presenter at national / local Microsoft and Industry conferences. 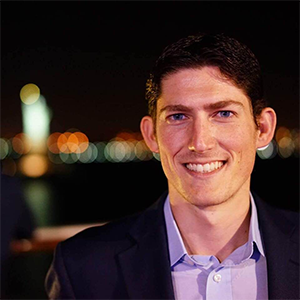 Jason is capable of adapting to fast paced industries with a proven track record in Enterprise Business Development and Startup Structure. He has had the experience of developing several different businesses from the ground level within the Supply Chain & Ocean Freight Logistics industry as well Professional Services Consulting with key roles in Business Development & Operations.His interest in Cryptocurrencies and Public Blockchains began in the First Quarter of 2017 where he began taking courses to further his knowledge within the Blockchain space. James Simmons is a product, technology, and business leader used to tackling big problems in hard industries. He spent the past several years at Everyone Counts, a leading innovator in election technology, first as head of product and technology and then as CEO. While there he launched the most advanced and secure voter registration and citizen engagement platform in the world, piloted online voting in the U.S. presidential election, and oversaw high profile public and private voting for the United Nations, the Oscars and Emmys, three of the Big 4 accounting firms, and governments around the world. In October 2018, Everyone Counts was acquired by Votem Corp., creating the world’s largest dedicated blockchain voting company.James is no stranger to highly-secure, highly-regulated industries. He began his career as a software engineer at Northrop Grumman working on control algorithms for missile defense satellites, spent almost a decade working on defense and intelligence projects that included autonomous vehicles, sensor data fusion, warfighter-machine interface systems, and culminated with two years in the Middle East managing the technology team for the U.S.’ forward-deployed armored vehicle fleet. Seeking opportunities to innovate and disrupt faster, James left big aerospace and took a series of leadership roles in small, fast-growing technology companies. At Verify, he led the design, development, and deployment of a supply chain management system that proved so successful it had 50 of the Fortune 500 using it within six months of launch. 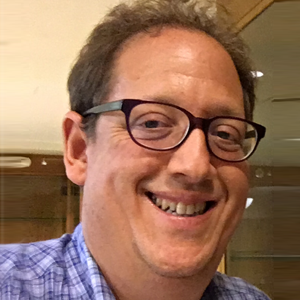 His next challenge was in the legal services space as head of product development for LegalZoom, where he helped lead the companys pivot from transactional to subscription-based relationships and launch their industry-leading mobile apps. In addition to his day-to-day leadership, James is a recognized expert in technology leadership and policy. He also speaks regularly at venues as varied as South by Southwest, the U.S. National Academies of Science, Engineering, and Medicine (NASEM), and the International Association of Government Officials. In recent years, he has become an advocate and evangelist for blockchain technology and its application across multiple sectors including civic engagement, legal services, supply chain, and national security.In his free time he enjoys reading, running, volunteering with a local dog rescue, skiing, and collecting whiskey. James was born in the United States, spent time growing up in the Philippines and Switzerland, lived and worked in Kuwait, and has a love for travel and exploration that has led him to visit over 60 countries. He currently resides in Huntington Beach, California. Diane is the G Suite Lead for Office of the CTO at Google Cloud, focusing on building strategic relationships with the world’s top Enterprises to foster collaboration at work.Diane comes from the Google Drive team, where she led the development of Team Drives, a complete rewrite of Drive including the back-end API, and front-end to scale Drive for the needs of our largest customers. She also led the acquisition of Synergyse (now branded as G Suite Training) to provide contextual product support. Previously, Diane worked for AppNexus and Applied Predictive Technologies.Diane attended Lehigh University where she earned degrees in Information Systems & Engineering and Business. Outside of work, she volunteers with Minds Matter to help low income students prepare for the SAT (college entrance exam), and enjoys running, climbing, and skiing. Dr. Ben Amaba holds a PhD. degree in Industrial & Systems Engineering, a M.B.A./M.S. degree in Engineering and Operations, and a B.S. degree in Electrical Engineering. Dr. Amaba is a registered and licensed Professional Engineer in several states with International Registry; certified in Production, Operations, and Inventory Management by APICS ®; LEED® Accredited Professional (Leadership in Energy & Environmental Design); and certified in Corporate Strategy by Massachusetts Institute of Technology in Cambridge, Massachusetts. He is responsible for industrial manufacturing, infrastructure and logistics solutions. 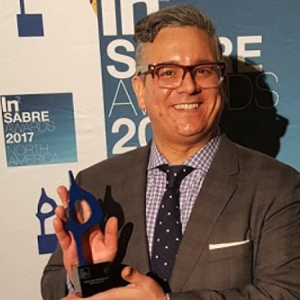 Dr. Amaba is the Chief Innovation Officer for the Industrial Sector – North America for the IBM Watson and Cloud Division. Dr. Amaba’s focus and interest is in artificial intelligence, blockchain, robotic process automation (RPA), software engineering, data analytics, Internet of Things (IoT) and cloud technology.Dr. Amaba holds a copyright for Process Activity Flow Framework®, the foundation for IBM’s Business Driven Development framework for requirements, design, architecture, simulation, and application development techniques. Dr. Amaba has been a keynote in major professional and industry conferences around the world for the past 30 years, is prominently featured in “Giving 2.0,” by Laura Arrillaga-Andreessen with Stanford Business School, which details contributions to bolster and promote STEM education and careers, and is an Alexis de Tocqueville Society/United Way Member, which recognizes local philanthropic leaders. Dr. Amaba holds positions as Industry Council Advisor to Project Production Institute, Board of Director of Whoop Wireless Corporation, UCX Corporation, and RANCS Group LLC, Executive Board Member of Applied Human Factors and Ergonomics (AHFE) and Editorial Board Member to IEEE (Institute of Electrical and Electronics Engineers) IT Professionals, Founding member to the Institute of Advanced Systems Engineering, Founding member to the Center of Advanced Supply Chain Management, Editorial Board of The Open Cybernetics and Systemics Journal, and Executive Advisory Board Member to the University of Miami, University of Houston, and University of Central Florida. In his current role, Mr. Achanta provides strategic advice and execution services on Blockchain technologies across various industries. 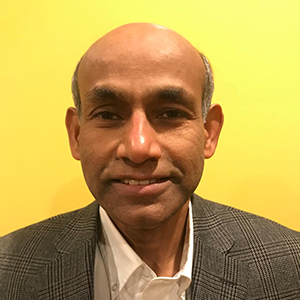 Mr. Achanta is also responsible for developing innovative solutions leveraging IBM’s blockchain and cognitive capabilities for the Financial Services industry.Mr. Achanta is a proven leader with a successful track record of delivering complex solutions in a fast paced business environment. With his in-depth understanding of the business and technology challenges for sell-side, buy-side and market infrastructure firms, Mr. Achanta managed several transformation initiatives for key industry participants.Pramod is also a member of IBM Industry Academy representing Banking and Financial Markets industry. Prior to joining IBM, Mr. Achanta worked for Capco, BearingPoint and Citigroup and its affiliates performing various senior roles.Mr. 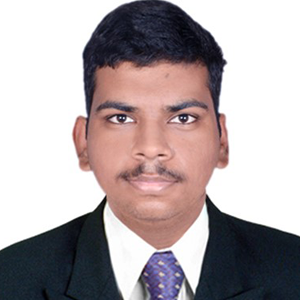 Achanta received MBA with Honors from The Wharton School of University of Pennsylvania and a Bachelors in Engineering from BITS, Pilai in India. Mr. Brahma P. Sen is the CEO of InAge Technology that provides software services to Federal government. 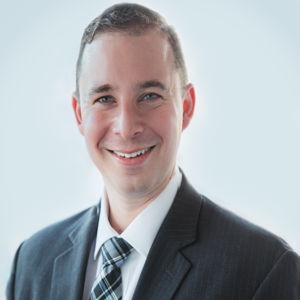 Over last 10 years, he has worked as a consultant with the Center for Medicare and Medicaid (CMS) in their Physician Quality Reporting System (PQRS), a federal government mandate to increase the quality of Healthcare while reducing cost. His passion includes leveraging technology to achieve this aim. As part of the PQRS program, he was involved with the Nationwide Health Information Network (NHIN) initiative and using Clinical Document Architecture (CDA) as the data standard for inter-operability among Electronic Health Record (EHR) systems. He is currently involved in implementing different POCs using Blockchain technology for different Health care, Insurance and Smart City initiatives. Jesus Rodriguez is a technology expert, serial entrepreneur, angel investor, and internationally recognized speaker and author. Jesus is the Chief Scientist and Managing Partner at Invector Labs, a platform that is reimagining software development on-demand using artificial intelligence. Prior to Invector Labs, Jesus founded Tellago, an award-winning software development agency focused on the latest technology trends. Jesus has been the recipient of several industry awards including the Inc. 500 and Stevie Awards for American and international business. 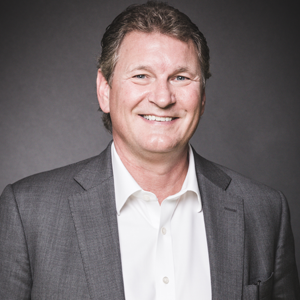 He serves as a board member in several enterprise software companies. Jesus is a regular speaker at technology conferences and a contributor to technology publications such as CIO.com, ComputerWorld, InfoQ and many others. Tenured communications, social influencer, public affairs and integrated marketing professional of more than twenty years, with a track record of providing organizations large and small with the expertise and hands-on guidance to execute public relations and marketing campaigns with precision and alacrity. I have had the privilege of working alongside several truly brilliant colleagues, including White House cabinet members, Fortune 500 CEOs, VC and private equity investors, as well as PR and marketing executives universally regarded as industry pioneers. From this diverse group of mentors, I learned a great deal about creativity, strategic thinking, conviction and humility. 20 years in communications and marketing has taught me that for campaigns to be effective, messages must to not only reach influencers, but also resonate across multiple channels to impact opinions. Shaping Influence Worldwide® our trademarked, 360-degree approach to Public Relations, Influencer Communications and Engagement, was born from that realization. JMRConnect is built to serve an evolving 21st century global marketplace, combining the best of traditional PR with next-generation, multi-channel audience engagement. As JMRConnect Principal, I work directly with clients to develop and implement campaigns that deliver tangible, measurable results. Gary Davis is Chief Consumer Security Evangelist. Through a consumer lens, he partners with internal teams to drive strategic alignment of products with the needs of the security space. 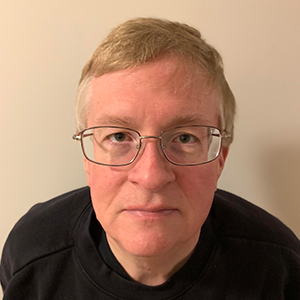 Gary also provides security education to businesses and consumers by distilling complex security topics into actionable advice.He is a sought-after speaker on trends in digital security including the evolving threat landscape, privacy and securing the Internet of Things. He has presented at high profile conferences and events including Consumer Electronics Show, Mobile World Congress, South by Southwest, and the National Association of Broadcasters. He has also delivered digital security topics to major educational institutions including Harvard University and Columbia University.Gary has appeared on multiple business, security and consumer lifestyle broadcast outlets, including CBS News, CNBC, NBC, ABC, FOX News, Bloomberg, WSJ MoneyBeat and quoted in the New York Times, the Wall Street Journal, USA Today, Money Magazine, CNN, Forbes, TIME Magazine and several more.During his 9+ years at McAfee, he has held leadership roles in the consumer and enterprise divisions where he has helped shape various product portfolios and strategic direction along with advocating for cybersecurity education. Co-Founder, Nakamoto & Turing Labs, Inc.
Nakamoto & Turing Labs, Inc.
Ken Silverman is an American entrepreneur, inventor and computer scientist with 20+ years architecting platforms, systems and complex algorithms. Chief Scientist and CEO of blockchain-based cardless banking solution, NationPay ( Nationpay.io ), he is the inventor of the bank account ==> token wallet solution. Ken is also CEO of RealSafe ( RealSafe.co ) Proof of Ownership, corporate management platform that can potentially replace subscription-based management companies such as the Gust Equity Management platform owned in part By David Rose. RealSafe could become a recognized facilitator of the Delaware Electronic Ledger Initiative. 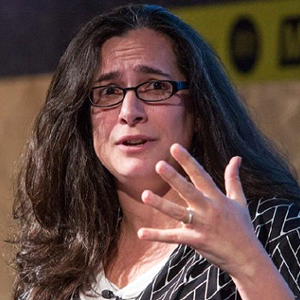 Formerly, co-founder and vice-president of technology at Webmind Inc. co-founded with Ben Goertzel, architecting the AI-engine that formed the base of the Webmind project for hundreds of scientists, the precursor for what became Open-Cog, which will be the mind of Sophia the robot, the first robot citizen and spokes-android for SingularityNET. Former Chariman and CTO of Spotwired, Ken built a sophisticated architecture that provides the heart of his latest social commerce engine under the developer name KenGenius. Designed for merchants to setup their online community representing their real-world location in minutes, each community features point of presence social gifting, on the fly editing of real world parameters, news and information. Users are provided the tools of each merchants real-world location, embedding gifts in their messages, interacting, meeting new people and gifting old friends alike. Ken first spoke on an open blockchain panel with Alexandra Levin Kramer at the IBREA blockchain conference in New York in 2017 regarding the future of crypto in real estate. There he was the first person to present to the public the idea of solving the entire titling problem by abstraction at the corporate level, in other words via tokenization of the company share unit as a passive action. Since he has authored whitepapers and architected platform designs for several companies planning ICOs and appeared on over 50 blockchain panels at places such as IT Expo in Ft Lauderdale among others. 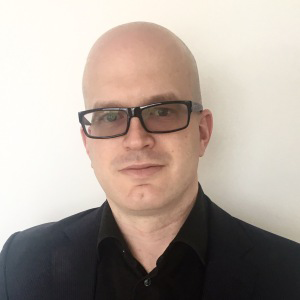 David is a Senior Director in the Oracle Cloud Applications Research and Development Organization, focusing on next-generation functional and technical architecture. With close to 20 years at Oracle, David has held various roles working on the development of the Financial Management product suite. He began at Oracle in the UK, building features for EMEA. 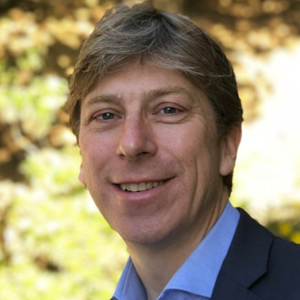 In 2000, he moved to Oracle HQ in the Silicon Valley to lead a number of initiatives for the Fusion Cloud Financials Suite and develop products from the ground up for the cloud. Most recently, David drove the design, build and launch of the Accounting Hub Reporting Cloud Service.In his current role, David is tasked with developing the vision and strategy for Oracle’s financial management system. He is leading the efforts across all applications development on Blockchain and Distributed Ledger Technology. His areas of interest include Blockchain, NLP, Chatbots, AI and Machine Learning, and new UX paradigms. 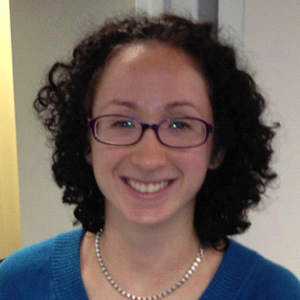 Amy Vernon is a digital Swiss Army Knife. She is now VP of Community for blockchain cybersecurity startup Rivetz. She started her career working at The Miami Herald, where she was a member of the staff that won the Pulitzer Prize for Public Service for coverage of Hurricane Andrew. Since then, she’s worked with media companies, social analytics platforms, apps, and even the American Museum of Natural History. She co-founded a predictive analytics platform for news publishers and was the top female submitter of all time on Digg.com when that meant something. 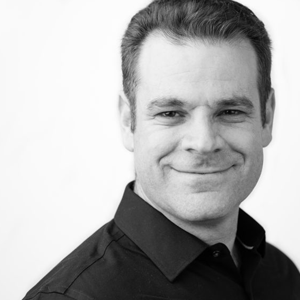 Adam is the SVP of Emerging Technology and is currently focused on Salesforce’s blockchain strategy. He previously ran the Strategic Projects consulting organization at Salesforce, a global team building custom applications on the Platform, helping companies reimagine what’s possible with Salesforce and turning their visions into reality. 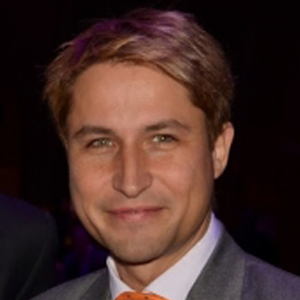 Adam joined Salesforce through the acquisition of Model Metrics in 2011. He founded Model Metrics in 2003, a consulting company that was focused on helping enterprise organizations accelerate the adoption of cloud computing and enterprise mobile applications. 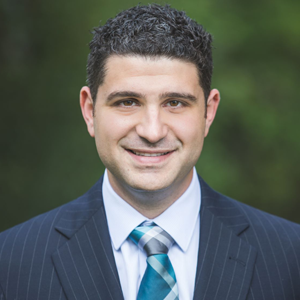 In 2011, he was named CEO of the Year by the Illinois Technology Association.Adam earned his MBA from the Kellogg Graduate School of Management and his undergraduate degree from the Wharton School at the University of Pennsylvania. 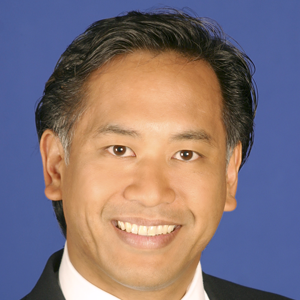 Ron is a global executive with extensive experience serving Fortune 500 companies and Silicon Valley startups. While living in Japan over a decade, he had a successful exit as CEO of a Tokyo-based firm to a private equity fund. 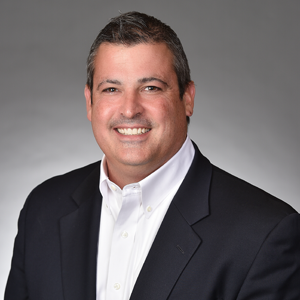 After co-founding Securrency in 2015, Ron has always served on the Board of Directors as well as executive roles over time including COO, CFO, CMO, Chief Compliance Officer, and he is currently the Chief of Staff. Early in his career, Ron led a Marine Corps recruiting station ranked 45 of 49 to become #1 in less than a year. He holds a B.S. in Marine Engineering from the U.S. Naval Academy and is a Certified Anti-Money Laundering Specialist (CAMS). Global Innovation and Technology growth-minded strategic leader skilled at leveraging global experience to lead high-impact initiatives within large organizations. 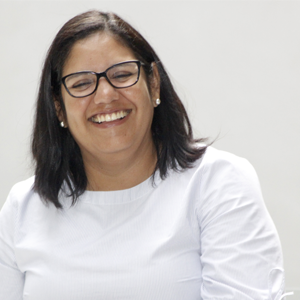 As a CTO for The Blockchain Challenge, she leads initiative to strengthen the Blockchain ecosystem worldwide, starting with her engagement with the MIT Media Lab’s DCI and the Interamerican Development Bank to implement strong blockchain use cases for Latin America. Formerly at Microsoft and Goldman Sachs, she led global transformational initiatives, based on both technology and culture, encourage diversity of thought to exploit innovative ideas. Former Head of IT Standards, Director of Service Support, and other roles covering the technology lifecycle at financial institutions. Member of the Leadership of Latinas in Computing, Lifetime Member of the Society of Hispanic Engineers, New York Chapter, Sloan Fellow from MIT, and startup advisor. Degrees from Carnegie Mellon University and several management, industry, and technology certifications. Manages tech deals @ Uber. Board advisor, global keynote speaker and mentor. His team helps make outside technologies a competitive advantage to Uber. Heading global mobility, IoT, wireless, messaging, voice, network, telecom, data center, cloud, contact center & connectivity strategic sourcing, relationships and spend at worlds most valuable private company. Aman is a Computer Science Masters Student at Wright State University and he is a Certified Blockchain and Cryptocurrency expert. He has published numerous articles on Hacker Noon technology publication. His research interest lies in Blockchains use-cases. 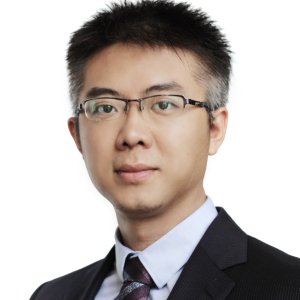 He is currently working with Wright State Universitys Sustainable-Mobile-Autonomous-Real-Time-Translational Lab under the guidance of Dr. Yong Pei on using Blockchain Technology for Professional Asset Management. Lawrence Harte is a Tech Media and business technology expert. He is the senior editor for Blockchain Media Magazine, Host of Blockchain Media Podcast, Editor of Blockchain Dictionary (blockchaindefinitions.com), and co-author of “Blockchain Technology and Business Implementation” book. Lawrence is the co-founder of the Blockchain Technology and Business Meetup Group Orlando and expert consultant for communication companies including Google TV, Samsung, Nokia, and others. 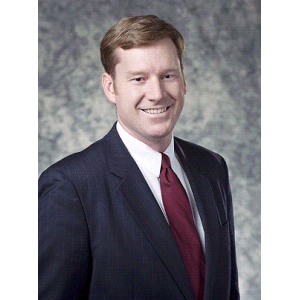 Mr. Harte has an executive MBA from Wake Forest University and a BSET from the University of the State of New York. A principal at Cidera Analytics, Doug has been working and writing about IT and satellite industries for over 20 years. His real world experience including stints at two start-ups, a commercial internet service provider that went public in 1997 for $150 million and a satellite internet broadband company. Andy Abramson is the founder of Comunicano, Inc., a full-service value creation communications agency, servicing start-ups, companies in transition and established brands with regard to marketing, advertising, public relations, promotion, events and reputation management.Founded in 1992, Comunicano operates globally as a virtual company, since 2000 the company has participated in the 40 company exits in the fintech, web, Internet, mobile, telecom or IT infrastructure sectors. Andy started his career in the marketing department of a professional sports team at age 14 and has been at it ever since. He has held a series of marketing and communications managerial roles with three professional sports teams - Philadelphia Wings, Philadelphia Flyers and Denver Nuggets, with roles in senior account management within the Foote, Cone and Belding/Impact and guiding the public relations and sports marketing for The Upper Deck Company, before founding Comunicano in 1992.Often quoted in the consumer and technology press, since 2003 Andy has authored VoIPWatch (http://www.andyabramson.com), a leading industry blog focused on mobile, video, voice, collaboration and OTT technology. 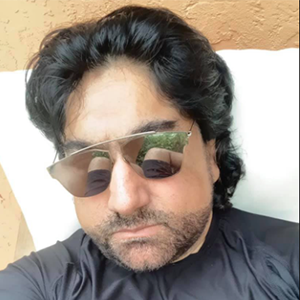 He is also heard on the syndicated radio program, Business Rockstars, while also serving as a member of the board of advisors of multiple startups around the world. 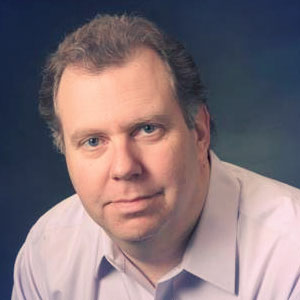 Harry Brelsford is the founder and CEO of SMB Nation, a Seattle-area global community of over 50,000 MSPs, IT Pros, Technology Consultants and Resellers. Brelsford is a well-respected thought leader on business technology matters including analytics, cloud computing and network infrastructure. 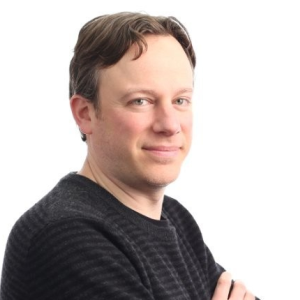 Perhaps best known for his leadership in the Windows Small Business Server era, today Brelsford, a serial entrepreneur, participates in a wide range of startups in addition to overseeing. Street cred? Brelsford has written 20-books on business technology topics, 400+ articles, six major certifications (including MCT) and a Masters in Business Administration. He is currently earning his Microsoft Professional Certificate in Big Data, a two-year program. Akshay Sharma is a tech analyst, having authored or co-authored over 280 research notes, on emerging technologies like SD-WAN, 5G, mobile video, cloud CDN, etc. in the past decade. A frequent speaker at tech events, he is often quoted in leading institutions like CNN, Wall St. Journal, etc. He is a former CTO of one of the first video/WiFi smartphone firms and an entrepreneur in the tech sector, having worked for firms that are now part of leading firms like Intel, IBM, Ericsson, and Gartner. Copyright © 2019. The Blockchain Event Expo. All Rights Reserved.